Renee buckler had been struggling with bad breath for years, and she was getting sick of it. She made sure that she followed all the advice that dentists gave her; she brushed at least twice every day, flossed and even rinsed her mouth with mouthwash. Every single day. The bad smell just wouldn’t go away and now she more worried than ever. When she approached one local dentist, the root of her problem was uncovered, and she would never have realized it if she had not made that visit. The tooth specialist examined her and discovered that Renee was suffering from tonsil stones, a condition also known as tonsilloliths. The tonsil has pockets which tend to collect little amounts of food particles and debris after every meal. Usually, the pockets are cleaned after some time, but other times the particles remain. This debris hardens in a process called calcification that is aided by some enzymes. They then tonsil stones which produce the foul smell, usually because the food is decaying due to the bacteria present in the mouth. They may appear white or yellow, and they can also form within the tonsils. The dentist recommended laser ablation which dissolved the stones using laser beams that were carefully concentrated on them. The process proved quite successful, and her bad breath was gone when she left his office. According to specialists, tonsil stones are usually very common, and many people do not realize that they suffer from the condition. Some attribute the bad breath to foods with strong sulfuric compounds that make the mouth smell, for instance, onions. In other people, the bad breath is not very intense, and one may not even notice it. Brushing gets rid of the smell temporarily, but most of the time, it persists. Poor oral hygiene may cause tonsil stones. If you do not brush your teeth, the food particles, bacteria, and fungi are more likely to gather in the tonsil crypts and harden to form the stones. 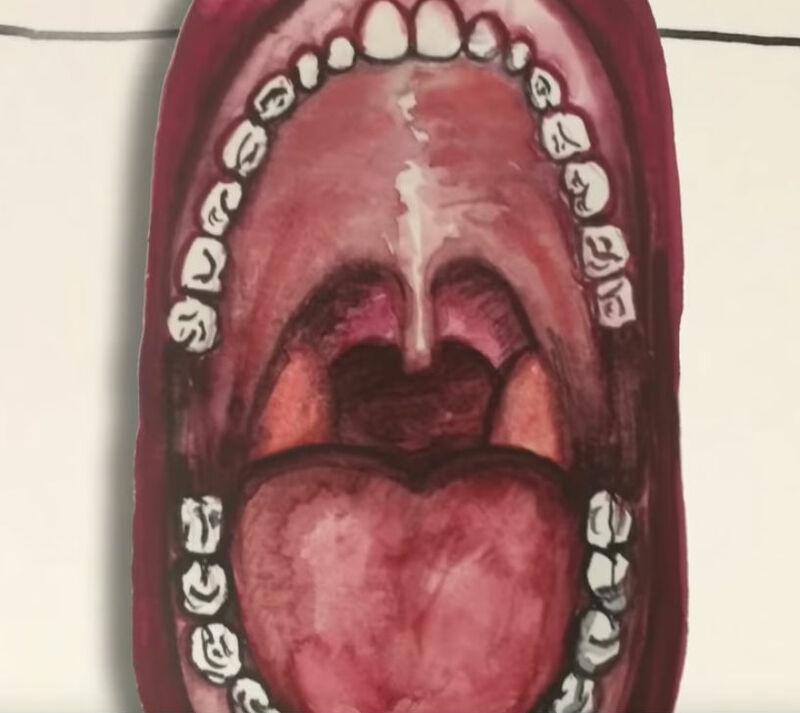 People with large tonsils are also more vulnerable to the condition because they have larger crevices which are easily filled with the food particles. Tonsil stones can also occur in people with chronic sinus problems and inflamed tonsillitis. The most common and perhaps the most unpleasant symptom of tonsil stones is bad breath. The decaying food substances have a characteristic bad smell that does not go away even after brushing. They may also cause a sore throat, and when they are very big, they may make it hard to swallow. Other times they are associated with ear pain, persistent coughing, and swollen tonsils. When you open your mouth wide in the mirror, you can see a white or yellow substance at the sides of the tonsils. When the self-cleaning mechanism fails, one can gurgle them out using warm salty water. They can also be popped using cotton swabs or the finger (for those whose fingers are long enough to reach them. ) You can also try coughing them out; most people discover they have the stones when they cough one out. In more severe cases, the dentist usually recommends dental procedures to remove the stones and smooth out the tonsils. This may include laser ablation or surgical removal.